Your teeth play a huge role in your overall health. They chew your food so you can easily digest it and stay energized, they help maintain your facial structure, and they let you express yourself with a nice big smile. You owe it to your teeth to give them the best care possible. Doing that starts with the daily act of brushing your teeth. Are you brushing your teeth right? There may be room to develop better habits. Thankfully, you can improve your brushing with these tips. Brushing your teeth too hard actually does damage to your gum tissue and wears down your enamel, causing you to become even more susceptible to gum disease and cavities. Using a firm yet gentle brushing motion will yield you the best results. Over time, you may begin to feel that you are brushing every inch of your smile after just a few seconds. That’s absolutely not the case. You might also start to rush through brushing because you are in a hurry to get somewhere. 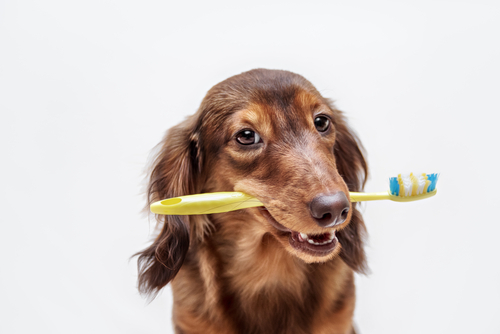 Make sure to set aside time each and every day, at least twice a day, to get the most out of your brushing. It helps to time yourself while you brush. Start an alarm on your phone or play a song you like to make it fun. We’re Always Happy To Have You! A consistent flossing and brushing routine, along with regular visits to your dentist, can save you money and stress in the long run. Contact us at our local Fort Worth, TX office at 817-236-7846.